Hyundai India launched the new generation Verna sedan last year and the model went on sale with only the 1.6-litre petrol and diesel engines. While the 1.4 units from the predecessor were given a miss at the time of launch, Hyundai India is all set to introduce the Verna 1.4 petrol soon in the country. Dealer sources have confirmed to Carandbike that the new Hyundai Verna 1.4 petrol is all set to be Introduced and will go on sale as early as this week. Certain dealers have also started accepting bookings for the new variant that commands a lower price tag. The Verna 1.4 petrol is expected to be priced at around ₹ 7.30 lakh (ex-showroom), making it substantially cheaper than the entry-level Verna 1.6 petrol variant. The Hyundai Verna 1.4 will be available in two trims – E and EX. The base trim will sport most features from the 1.6 E variant including dual airbags and ABS, power windows, MID unit, 15-inch steel wheels and much more. The more feature loaded Verna 1.4 EX will be available with including alloy wheels, projector lens and fog lamps, LED DRLs, touchscreen infotainment system with Bluetooth connectivity and height adjustable driver’s seat as well. 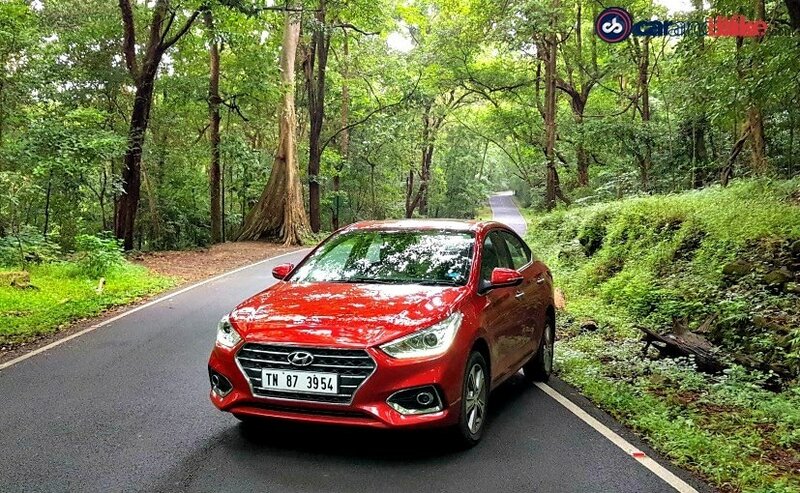 With respect to power, the new Hyundai Verna 1.4 will be using the familiar unit that was seen on the previous generation version and also powers the Hyundai i20. The motor is tuned to churn out about 98 bhp and 134 Nm of peak torque. A manual transmission will be available on the 1.4 Verna. Expect Hyundai to share details of the new Hyundai Verna 1.4 soon. The compact sedan space continues to be ruled by the Maruti Suzuki Ciaz and the Honda City, and the lower entry price tag will help the Verna gain more volumes. The Hyundai Verna 1.6 variants are priced between ₹ 8 lakh and ₹ 12.49 lakh for the petrol, and ₹ 9.43 lakh to ₹ 12.69 lakh (all prices, ex-showroom Delhi) for the diesel.